There is a new trend that is sweeping concert halls around the globe, where an orchestra plays the soundtrack to a popular film in sync with the film playing on massive screen behind them. This has happened with films such as installments of the Star Trek and Harry Potter series. And now Star Wars is getting that treatment. 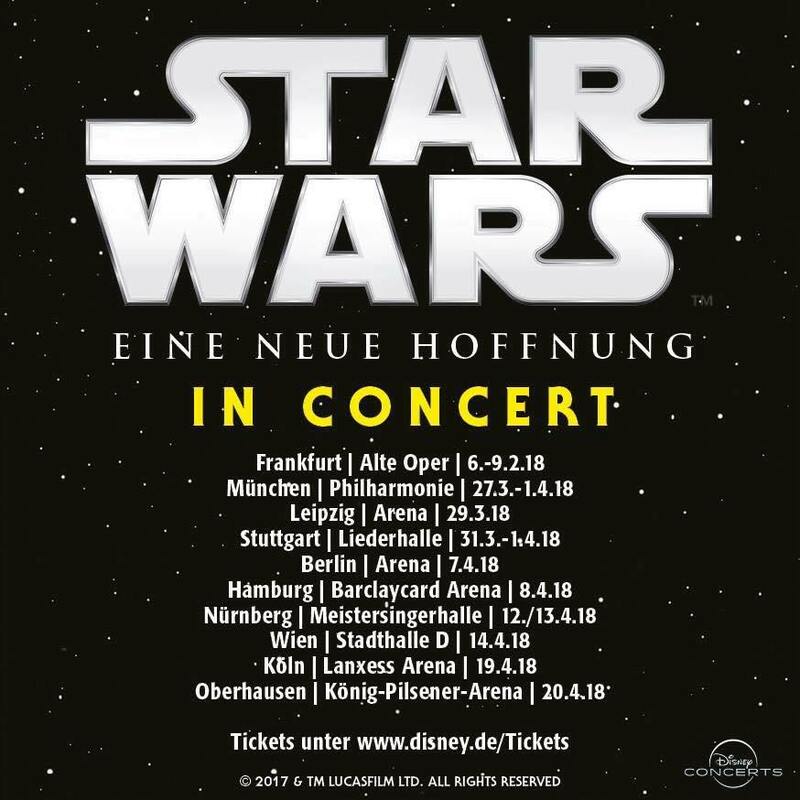 Tickets are now available on eventim for a German tour of "Star Wars In Concert" beginning in Frankfurt in February 2018 and there will be 19 performances in 10 German cities between February and April. 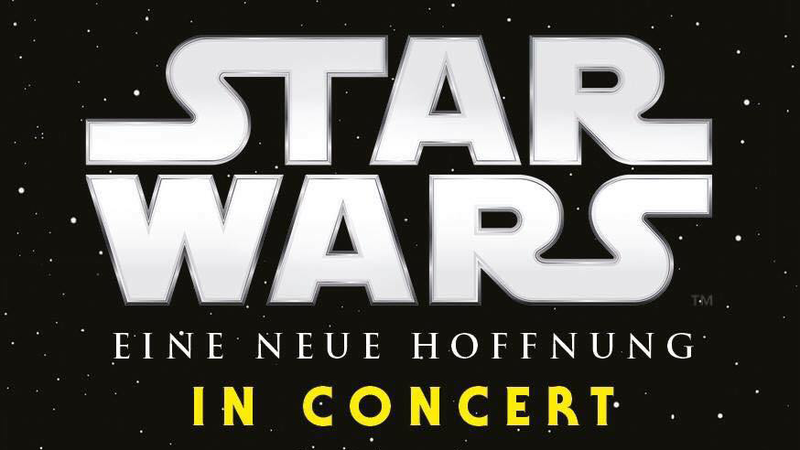 Despite sharing the same name, this is not the same "Star Wars In Concert" event that wrapped up a several year tour a couple of years ago. Where that even showed clips from all six films in sync with a live performance of a selection of tracks from the soundtracks of the entire saga. Instead, this tour will feature the orchestra playing the soundtrack in sync with Star Wars: A New Hope. A similar event will also run in New York from September 15th-October 7th, 2017, however the New York versions will feature performances of The Empire Strikes Back, Return of the Jedi, and The Force Awakens, in addition to A New Hope. Tickets for the New York performances are available here.